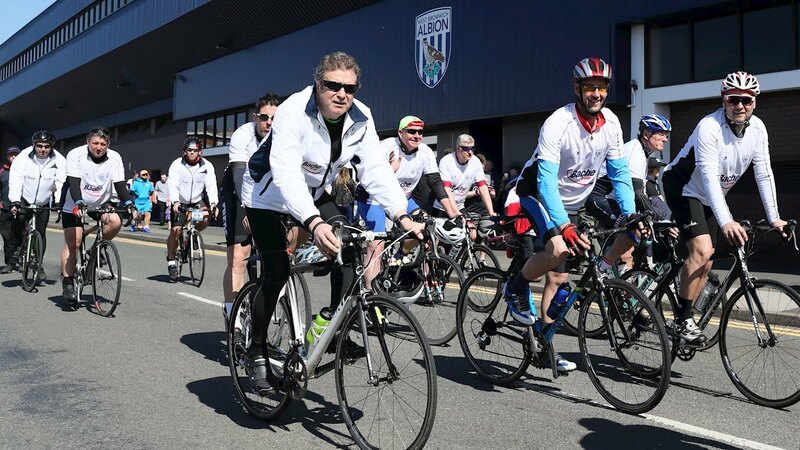 2018 was another successful year for the Baggies Bike Challenge, with a group pedalling 150 miles from Swansea to The Hawthorns, just in time to watch Albion take on the Swans. Arriving in time for kick off and led by Albion legend Bob Taylor and Albion Foundation ambassador ‘Blind Dave’ Heeley, the cyclists, including some of our own Bache Group team members, raised thousands of pounds to help the Foundation continue their life-changing work in the community. The Albion foundation work tirelessly to provide sporting and educational opportunities to the most disadvantaged members of the local community, all year round.